Black Friday, one of the most popular shopping events in the world – is all about deals and bargain hunting. Set to be the first and largest event of its kind in Africa, Jumia - the leading online shopping destination in Africa, introduced Black Friday to the African market in 2013 and this year it will take place on Friday 27th November. Accra, November 27th 2015 - Black Friday, one of the most popular shopping events in the world – is all about deals and bargain hunting. Set to be the first and largest event of its kind in Africa, Jumia - the leading online shopping destination in Africa, introduced Black Friday to the African market in 2013 and this year it will take place on Friday 27th November. With the recent launch and success of Wonderbag into the Ghana and Nigeria markets in 2015 – it’s no surprise that Jumia approached this revolutionary cooking tool to be part of this year’s sale extravaganza. According to Sam Chappatte, Managing Director of Jumia’s New Countries, Africa’s largest online shopping mall aims to surpass last year’s Black Friday e-commerce success, with a tenfold increase in sales and over 1,500,000 online visitors in one day alone. “Originally established in the U.S. more than 50 years ago, Black Friday is now a well-known sales day both in the U.S. and Europe. People go mad for it. This year, we bring the concept to Ghana. We’ve got mind-blowing deals for our customers on must-have items, like the Wonderbag and hundreds of other brands and products from around the world. We can’t wait to share them!’ stated Chappatte. Wonderbag brainchild and CEO of the company, Sarah Collins, is thrilled to be part of the Black Friday online experience. “Having lived and worked in the US over the years I am very familiar with the Black Friday frenzy. I think bringing the concept to Africa and facilitating it online is genius! We are excited to see how consumers in the Ghana market will react to this ‘new’ shopping experience with the added benefit of buying our non-electric heat retention cooker at a discounted rate of 120 GH. I believe the success of this event is guaranteed due to the increased sales opportunities having been created for consumers via their mobile phones,” Collins enthused. “Africa’s disposable income & online consumption is growing at an extraordinary rate. In Ghana, we expect to sell more in this year’s Black Friday than in the whole of 2014. But this is just the start. We are here for the long term and have plenty more surprises to come. By tapping into this global shopping phenomenon, with the support of our partners Infinix, Wonderbag, Innjoo, Binatone, Mediatek, Tigo and Guinness, we have created a powerful event that our customers will love. Bring on the 27th of November!” concluded Funlola Abe, Country Manager of Jumia Ghana. To take advantage of the Black Friday sales, go to www.jumia.com.gh, search by category for the products you want and click “Buy Now”! Consumers can rest assured that with different payment methods available (including cash on delivery and Mobile Money), their Black Friday shopping will be easy and convenient. The Wonderbag is a revolutionary, non-electric, heat retention cooker that allows food that has been brought to the boil by conventional methods, to continue to cook for up to 12 hours, without using any additional energy source. 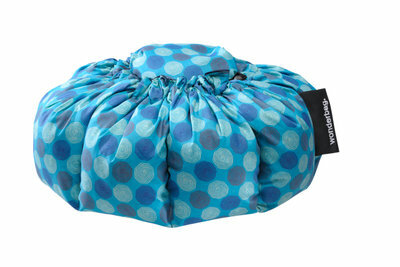 Not only is the Wonderbag a revolution in the kitchen, but it is also a recipe for social change. The world has embraced the Wonderbag because of its environmental attributes and particularly its social contributions, because for every bag sold around the world a contribution is made to the Wonderbag Foundation to help put more bags into the hands of those around the world who live in poverty and would greatly benefit from owning a Wonderbag. 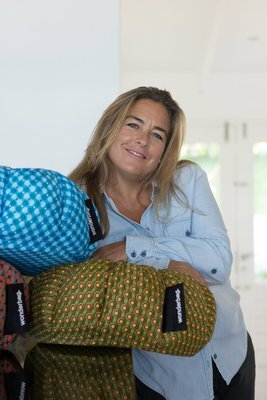 Fuelled by the desire to empower women in vulnerable positions and ensure long-term economic freedom, Wonderbag was founded in South Africa six years ago by local entrepreneur and social activist, Sarah Collins. Since opening its doors the company has grown exponentially and this local product has crossed over borders into various overseas markets. Thanks to this daring move Wonderbags have grown from their SA home base and are now sold in countries across the globe, including America and the United Kingdom. The product was listed on Amazon.com in 2013 and sales have shown exponential growth since it was launched. Jumia is Africa’s leading online shopping destination. Customers across the continent can shop amongst the widest assortment of high quality products at affordable prices – offering everything from fashion, consumer electronics, home appliances to beauty products. Jumia was the first African company to win an award at the World Retail Awards 2013 in Paris as the “Best New Retail Launch” of the year. Jumia has a staff of over 3000 and operates in 11 African countries (Algeria, Cameroon, Egypt, Ghana, Ivory Coast, Kenya, Morocco, Nigeria, Senegal, Tanzania and Uganda).